Remember back when Fantasy Flight was an independent company and tried to go for the Dune license to make games and could not do it– instead making REX? While the engine to REX is the old DUNE board game one, the space kittys and frogs and stuff are a far, far cry from the Sardakar and Fremen of DUNE. Out of print for close to 40 years now, Avalon Hill’s Dune is one of the best asymmetrical board game experiences you can have and holds up fantastically even today. We played it so many times that we ran through the entire set of player aid pads that came in the box and had to start recycling! This week it was announced that Galeforce 9 got the license to Dune and will be making board games with it. Great news as they have done some excellent work recently with Sons of Anarchy (still real cheap on Amazon!) and succeeded there DESPITE the game being a licensed property. Yet the biggest question is there: will Galeforce 9 be able to or choose to resurrect one of the best board games ever created? Will they be working with the original designers (the Cosmic Encounter guys)? 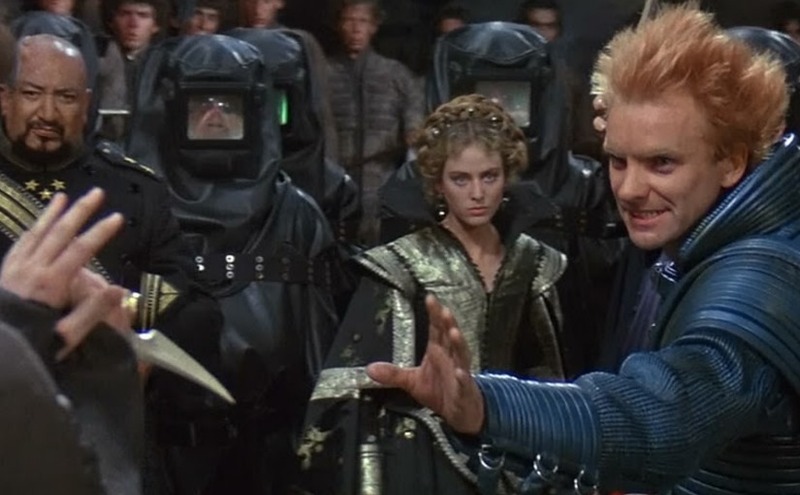 Or will they try to make a totally different (and likely inferior) game to the original AH Dune?